Buy - SCL-Plus ON-LINE - Downloads Available! SCANCAT IS XP, VISTA, & WINDOWS 7 / 8 / 10 COMPATIBLE ! AND.... with Scancat-Lite-Plus you are not limited to using the built in database. ( Mr Scanner contains 100% of the frequencies in all 50 states, because the data comes directly from the FCC. "RSD" format, and they will load right into our Scancat-Lite-Plus with NO editing". TIRED of having a different Software program for each of your Scanners? TIRED of retyping all your data from one software program to another? ALL police scanners are supported in our one single program. (Meaning) for the price of any other "single radio program" you can program them all! no matter which Scancat-Lite product you buy. you have to buy another program, at full retail price, for each scanner! If you want Software And Frequencies, be aware that None of our competitors include the Frequencies. And.... with most, you must pay a membership to a frequency website (Radio Reference) to get them. 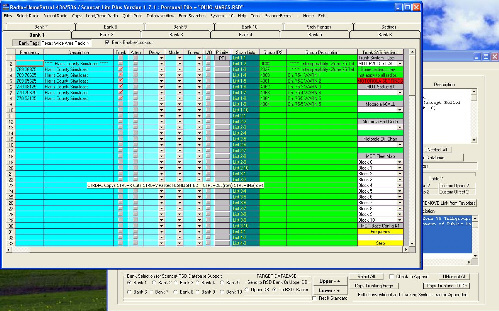 With All Scancat-Lite-Plus programs, Radio Reference access (and frequency information ) is free! All of the above is integrated into one easy to use software product. We've been working overtime producing a product that answers your every need. We have created a product that supports all the most popular scanners on the market with one single easy to use interface. And the list of supported radios is growing and growing. Scancat-Lite-Plus supports the memory programming for Radio Shack, Uniden, GRE, and MFJ Scanners and at a price that anyone can afford. 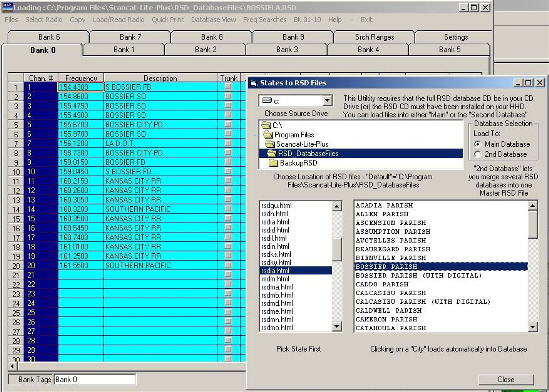 Scancat-Lite PLUS is targeted to scanner owners that are looking for a quick and easy method of programming their scanner. 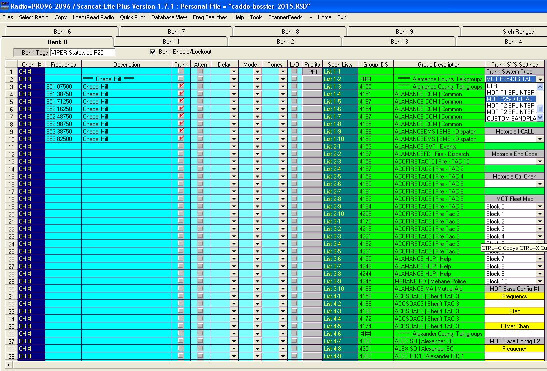 This screen shot depicts all the scanners currently supported by Scancat-Lite-Plus. 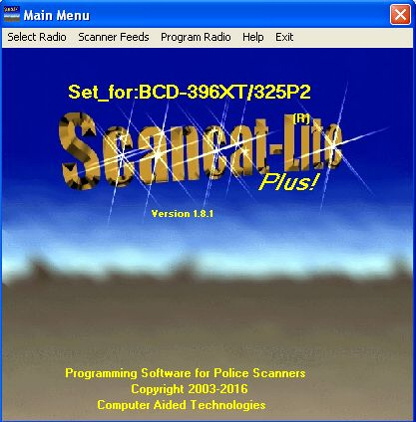 In the tradition of all Scancat products, all scanners are supported in one software product. 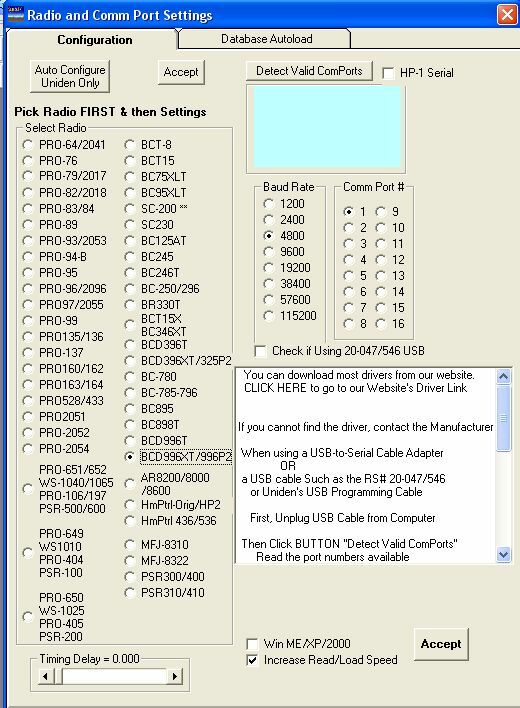 This means if you have any of the radios supported by Scancat-Lite PLUS, you only need to buy the one software program. 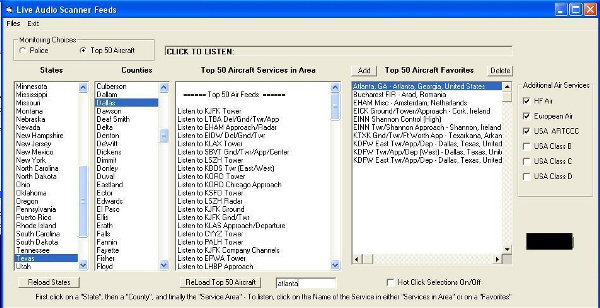 If you have more than one radio that is supported, you can use the same databases from any of the radios (to the limits of their frequency coverage and features of course). Just pick the radio from the radio selection list and "plug it in". The program supports both programming the radio's memories and (if supported by the radio) downloading from the radio the frequency information already programmed. So you can download from one radio and send the same frequency information to a second or third radio. Try That with software that only supports a single radio. A Graphical User Interface (GUI) that is so incredibly easy! ith just a few easy "Clicks of the Mouse"
What we have done is not "Rocket Science", but that being said, we have put together several Public Domain scanner feed websites, and designed a simple "All-In-One" user interface to make it as simple as a couple clicks away from your favorite scanner listening enjoyment. For a Special Selection of Uniden Trunk tracker models, and Radio Shack Digitals, we now support a "Virtual Radio". This is a utility that permits live monitoring of the Scanner while it is operating, and will also capture frequencies and talk groups, (and) database them for updating your radio. Be aware that it does not "control" the scanner, (other than what you can do if you press the real buttons on the scanner), it is simply a "monitor". Super Feature! Browse the RSD ''Personal Database files" directly. Load with just a few simple ''Mouse Clicks". Lets you preview the RSD files and then just click to load, and Click to Program your scanner. Simple as that! (RSD files can be purchased separately or are included at no charge with our COMBO CD! 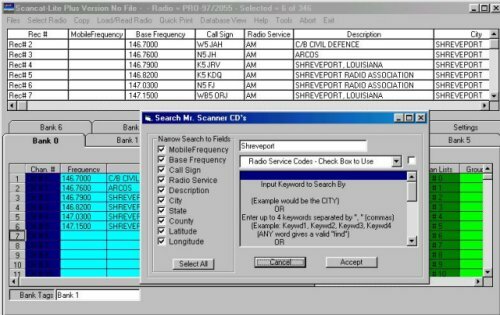 If you do not have the frequencies for your area, Scancat supports the files created on the Mr. Scanner CD's or downloads from the National Communications web site. Contact National Communications for both the Mr. Scanner Public Safety CD and Mr. Scanner CD ROM. 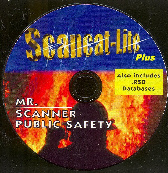 (Mr. Scanner Public Safety is also included in our COMBO CD). We now support Radio Reference a large Frequency site on the internet. You can also cut and paste from Excel. Either way there is little typing involved and in a matter of a few minutes your radio will be up and running - programmed with all your local frequencies. Remember all radios can use the same database (to the limits of their frequency coverage and features). Start Scancat, and quickly search and load the records into our Scancat Source Grid. Then Organize your frequencies quickly and load them to the radio! We do not sell the Radio Shack cables - contact your nearest local Radio Shack dealer. They have them in stock. ***Requires using "Run as Administrator"
FCC Complete Database of all frequencies including commercial and Public Safety in Comma Delimited Format that loads directly into EXCEL or similar database programs. 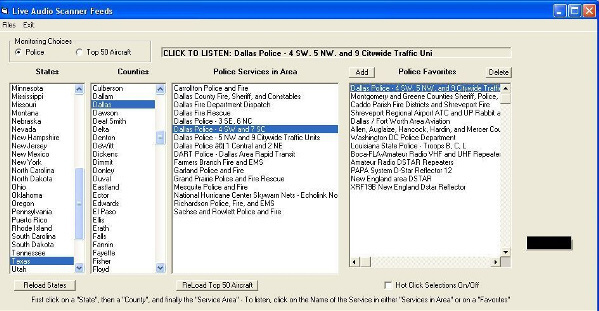 Public Safety only Database of all frequencies which have been filtered to contain only Public Service (Easier for searching for Police and related frequencies) in Comma Delimited Format that loads directly into EXCEL or similar database programs. Entire USA including Public Service (Police etc) and All Licensed Commercial and Aircraft Frequencies. To Order call Toll Free 1- 888-722-6228.
an upgrade price is available. then you can also upgrade from the "Lite" to the "Gold" version. or our software running on MACs using Virtual PC.